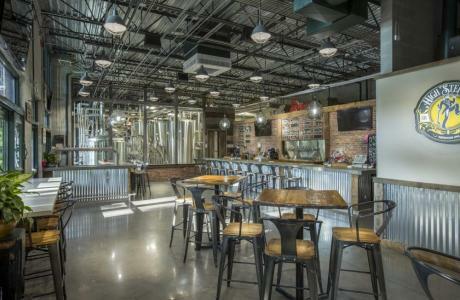 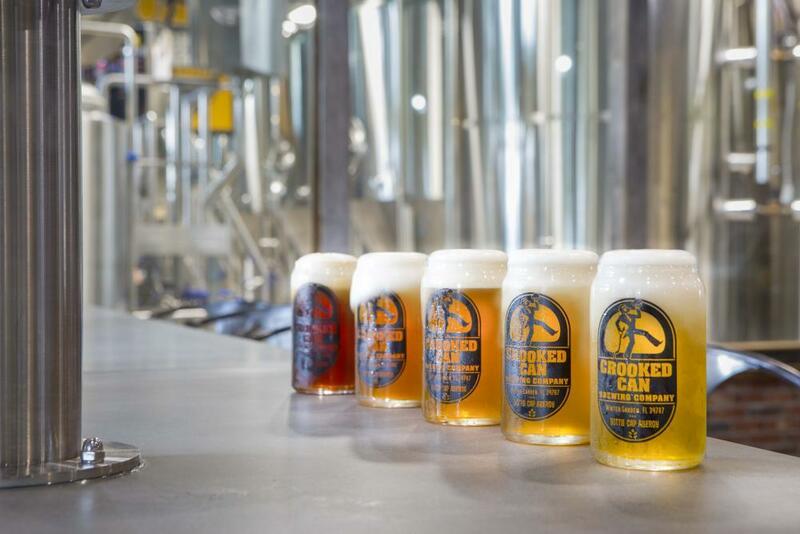 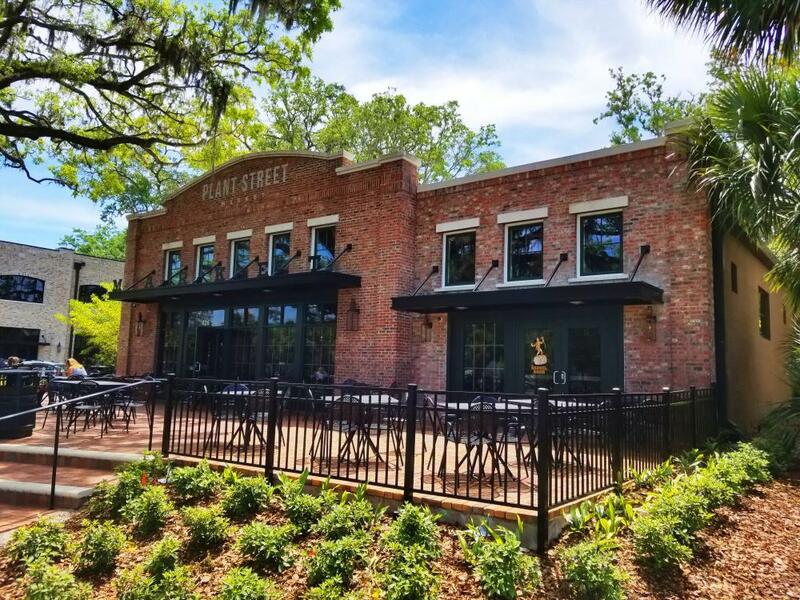 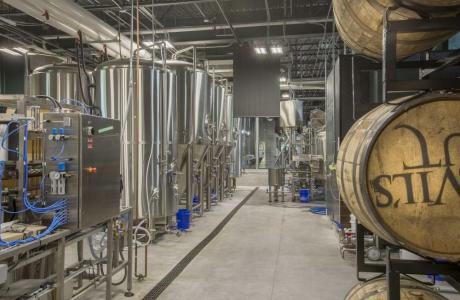 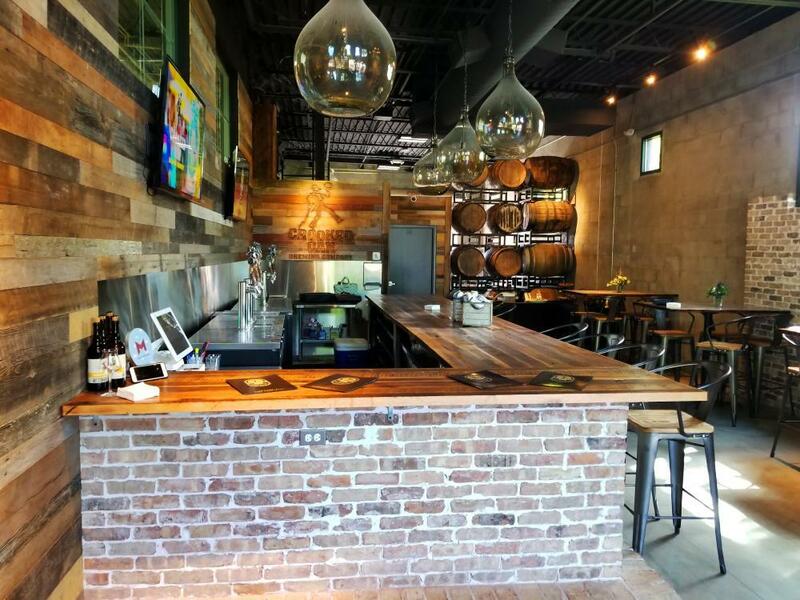 From groups of 10 guests to parties of up to 2500 guests, Crooked Can Brewing Company / Plant Street Market is the perfect place for your corporate event. 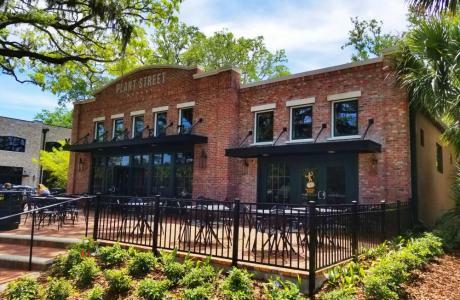 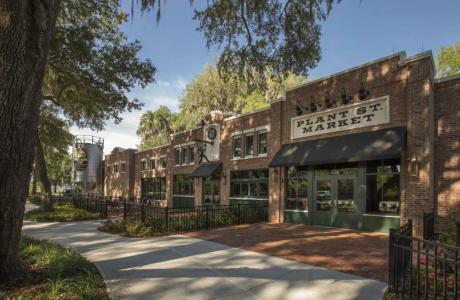 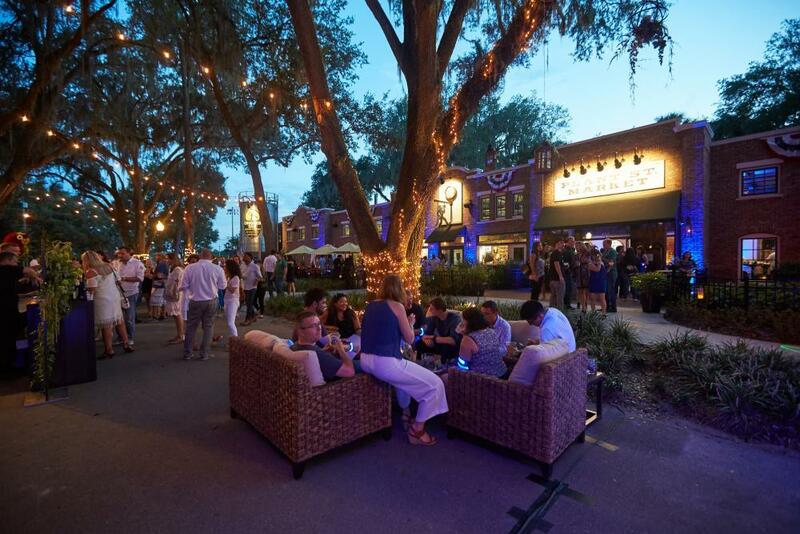 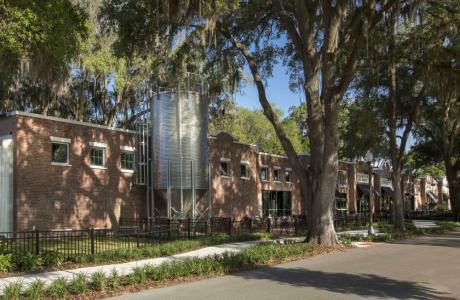 We offer flexible buyout options including our Tap Room, which can hold up to 250 people, an outdoor area that can entertain 600 people, and a large indoor “farmer’s market” area. 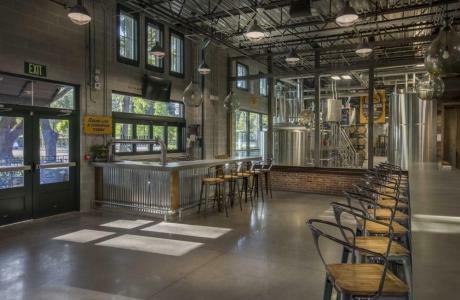 Our brewery can entertain 15+ people at a time as we take groups on tours during your event. 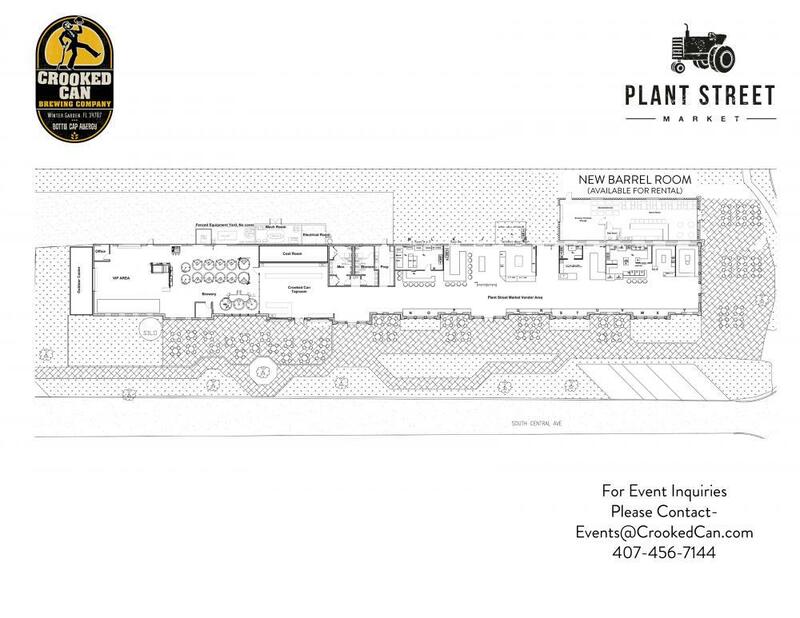 Our brand new Barrel Room features a fully private event experience for groups up to 150, utilizing the Barrel Room and the North patio. 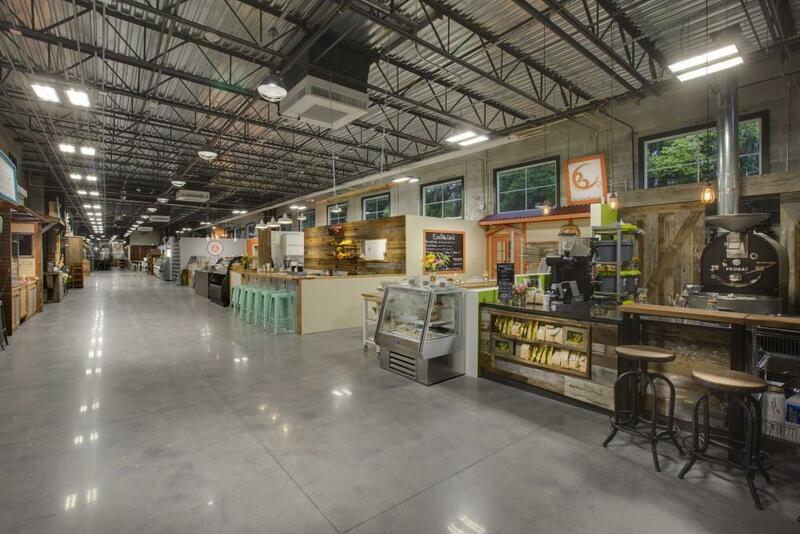 Click Here for a virtual tour of Crooked Can's event spaces! 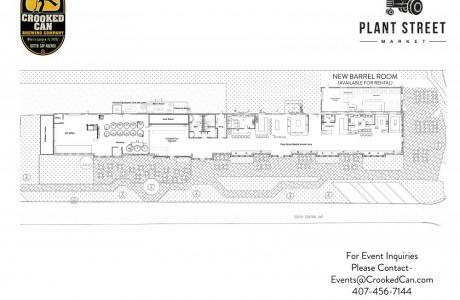 Barrel Room and Plant Street Market Patios available 7 Days a week for private events. 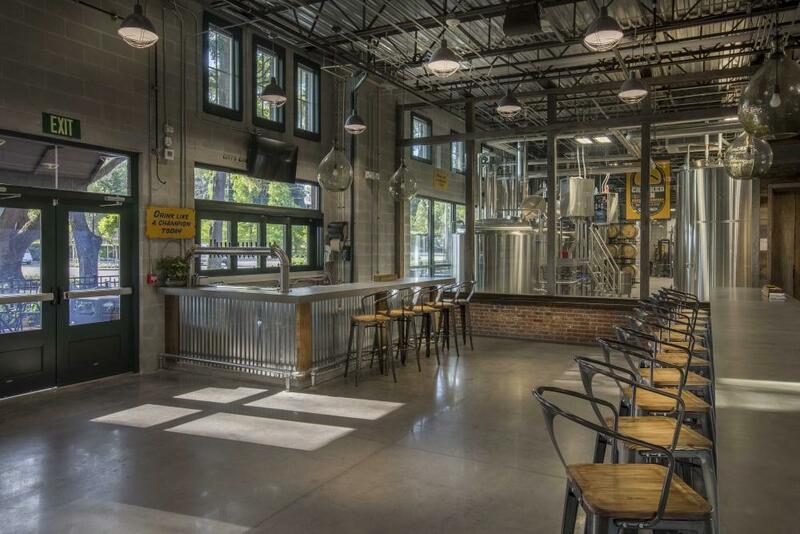 Entire Brewery and Market available Sunday-Thursday when meeting Beverage Minimum. 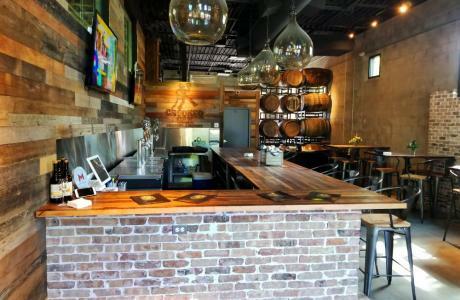 Artisan vendors with many different food options, in addition to Crooked Can's 15 original beers on tap.